Whereas many of our previous lessons have been focused on factual, scientific and objective topics, we now turn to one of the more philosophical decisions you will make as a beekeeper – the degree to which you follow the principles of natural beekeeping. As an introductory lesson, our intent is to highlight both the thinking and practices of natural beekeeping, at a high level. We position this for awareness, in the hope you will investigate this important topic further and draw your own conclusions about what best suits you. We have said it before and we’ll say it again – put 10 beekeepers in room and you will get 11 opinions (if you wait long enough). Ask them about natural beekeeping and you might get 20! It’s a cliche but it has a grain of truth. Joking aside, beekeeping stimulates healthy and fascinating debate, no matter the experience of the participants. Much of this is down to a tendency for our bees to exhibit less-than-predictable behaviors or at least take a path that we simply don’t fully understand. For many, this is one of the attractions of beekeeping. We are creating a place and an environment that allow our bees to do their own, beautiful thing. We watch, wonder and delight in their actions. Then we discuss and debate. The topic of natural beekeeping takes any beekeeping debate to a whole new level. It is, at once, a wonderful approach we all instinctively prefer and want, but also one that creates angst, especially when our bees face challenges. This lesson does not attempt to persuade you to practice natural beekeeping. Our approach is to inform, educate and stimulate discussion. 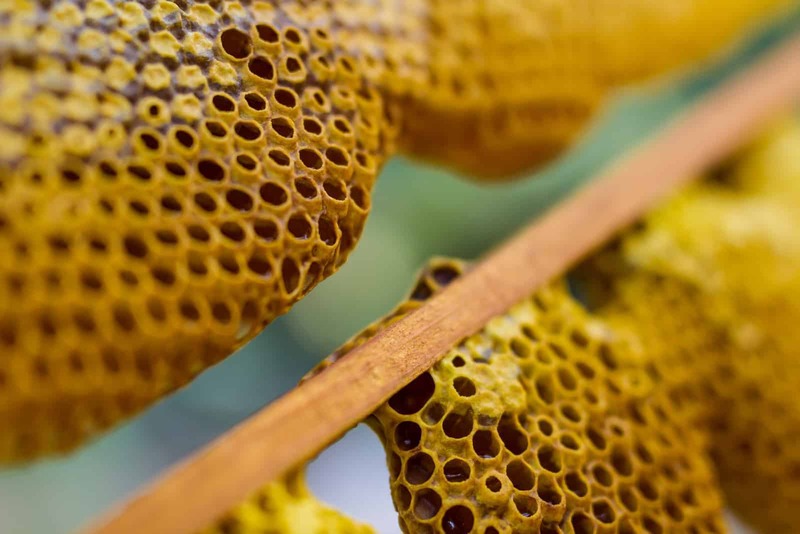 We are therefore going to describe natural beekeeping in an objective, factual way and guide you towards a point where you can eventually make your own, informed decision. How Much Do Humans Help Our Bees? Man has kept bees for thousands of years. It is a mature, well-established hobby for many and a commercial business for others. Although bees face an uncertain future, humans have found a way to offer bees an environment that at least gives them a shot at survival and maybe even a chance to thrive. When they do we smile, we rejoice and then we form opinions about the success of “our methods”. Bees have existed for millions of years. Successfully. The mutualism they share with flowers is one of nature’s epic partnerships. The period over which humans have actively been involved with beekeeping is a mere moment in time, compared to how long bees have successfully taken care of themselves. This all begs the question – do we help or hinder our bees? Those who practice and advocate natural beekeeping believe that bees are extremely effective at taking care of themselves through natural processes and with little (or no) help from man. Let’s explore this further. That is admittedly a rather broad definition. However, as you learn more about natural beekeeping you will recognize a theme to “step back and leave alone”, wherever possible, finding ways to support bees living their lives free from interference. There’s no denying that most of us look forward to honey from our hives. But here’s another strong natural beekeeping perspective – the keeping of honey bees is a reward unto itself and the “production line” of honey is an irrelevance (or, at most, a happy side benefit). If your primary motivation in keeping bees is to gather honey then you are, by definition, not practicing natural beekeeping in the pure sense. How all this translates into beekeeping practice is the subject of much debate. Let’s look at some of these issues. How Does One Practice Natural Beekeeping? With the definition above, it’s tempting to assume one can set up a hive, stand back, leave alone and call it natural beekeeping. But it’s not quite that simple. Natural beekeeping has implications for many aspects of the beekeeper’s role. With the qualifier that this lesson is intended to introduce you to the notion of natural beekeeping, here are a just few areas that are guided by a natural beekeeping philosophy. Perhaps the most common practice mentioned by proponents of natural beekeeping is the desire to avoid chemical treatments to address issues in the hive. This is also the most controversial aspect of natural beekeeping and you will easily and readily find experienced beekeepers on both side of this coin. Strongly! Maintaining a healthy beehive is a complex and occasionally difficult challenge, with threats to our bees including pests, pesticides and more. But one of the most pervasive threats relates to that from mites, such as the varroa mite. Let’s get one thing out in the open now – as a beekeeper you will experience the loss of bees. It is, sadly, a fact of beekeeping life and while we take steps to minimize these losses, even the most experienced of beekeepers will lose bees. Will using treatments save my bees? Beekeepers who use treatments to combat the threat of mites are not assured of saving their bees. These treatments are not a guarantee. So, if bees may be lost with treatments anyway, then why bother? Of course, that is a gross oversimplification, but it’s backed up by another key point – mites eventually build a resistance to treatments! So the use of treatments may be beneficial in the short-term but there are many who consider them problematic in the long-term. As a generalization, the natural beekeeping perspective is to let nature take its course and, over time, bees become more robust. Bees make good choices! We might try to help them along, but they have a far greater track record at thriving in the wild than we do squeezing them into artificial boxes. One of the more visible changes we have made, in using man-made hives, is in providing bees with foundation. It is the latter – the use of foundation – that is questioned by advocates of natural beekeeping. Bees are masters at making their own comb. While most of the cells making up that comb is of a consistent size, bees will make larger cells for drones and still larger ones for potential queens. This has direct implications, for example, on the percentage of drones in the colony and will vary based on a number of complex factors. But the bottom line is that the bees make their own decisions about the percentage of cells of each size, based on their own needs. With this in mind, think about what happens when we provide foundation on the comb. The foundation is often plastic-based with a wax covering (this is an accommodation to what our bees would naturally produce if left to do so themselves). But what about the size of the cells? Bees will “trace” the outline of the cells imprinted on the foundation when they create their comb. This effectively means that we decide, for our bees, the size of the cells. That is contrary to the principles of natural beekeeping, since we are effectively dictating the size of the cells. The alternative is to let the bees make the call. This is done by using foundationless frames – essential a rectangle within which bees will create the entire comb, rather than lay it over a man-made foundation. These frames often have a small “wedge” at the top, merely to provide the bees with a helping hand to get started. With all that said, beekeepers do have some choices for the foundation they use and may install such options as drone, brood or small cell foundation. There is a tendency among many beekeepers to expand their collection of hives by purchasing bees from a trusted source – a supplier of bees that comes with a strong recommendation and a solid track record. These are positive characteristics and provide real value. But sometimes beekeepers purchase bees from across the country, such has when having a package of bees shipped through UPS! Doing so obviously expands the choice of suppliers, but there is potentially a very high cost – local adaptability. Locally-sourced bees will be more accustomed to the environment and, in some situations, this can be a decisive factor in whether your bees survive local conditions in the long run. Is there a perfect environment for my bees? Bees have all sorts of reactions – both positive and negative – to their environment. Wherever you place a beehive, there are a complex series of factors that affect that beehive. Over time you may choose to breed your own queens, from your surviving stock of bees. These are, by definition, local and that brings with it a number of potential advantages. As we mentioned at the outset, PerfectBee isn’t in the business of telling you which approach is right for you. But perhaps the most central question you might ask yourself is around the topic of treatment-free beekeeping. One reason many choose to treat their bees when they sense a threat from mites is the need to “do something”. Anything. It’s not easy to let nature take its course in such situations, especially when the outcome may be the total loss of a colony. Those who treat and see their bees subsequently flourish become ever more convinced that their intervention made the difference, regardless of whether the bees would have survived anyway. Those who don’t treat and lose their bees may also reach the conclusion that treating the bees was the way to go after all. But using a small number of hives as a definitive factor in deciding whether to adhere to natural beekeeping is a short-sighted proposition. For any one hive that was treated successfully, there’s another that was treated and didn’t survive. And there is also a hive that recovered from potential mites , without any treatments. PerfectBee suggests the new beekeeper study and understand the implications of natural beekeeping and make an informed judgement. In the meanwhile, we do hope that this introduction stimulates you to at least consider natural beekeeping. I am an advocate for natural beekeeping. I enjoyed this introduction and will continue to follow through your courses. I aim to have a beehive this Spring of 2019.